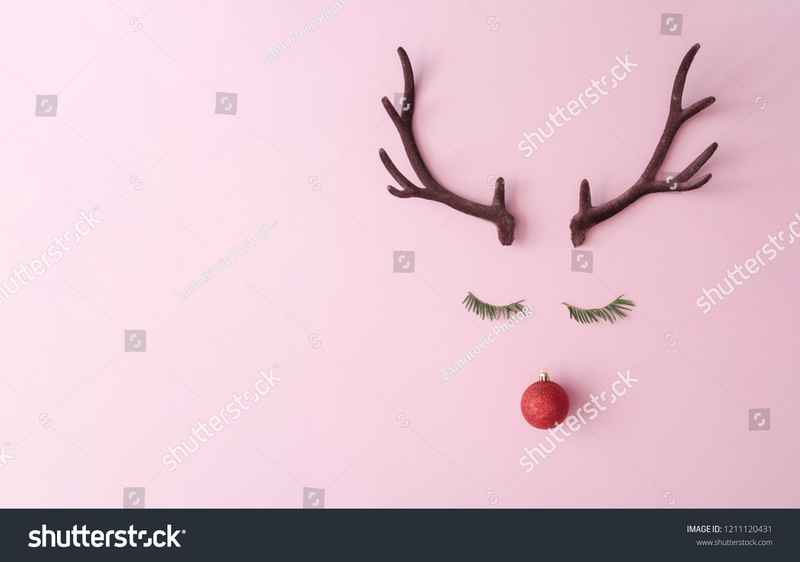 Christmas reindeer concept made of evergreen fir, red bauble decoration and antlers on pastel pink background. Minimal winter holidays idea. Flat lay top view composition.